The Fox Cities Performing Arts Center, located in downtown Appleton, provides a premier venue for live performing arts. The Center proudly serves as a gathering place for the community to engage in educational opportunities while enhancing a greater understanding and appreciation of the live performing arts. For more information on upcoming events, education programs and community involvement go to foxcitiespac.com. 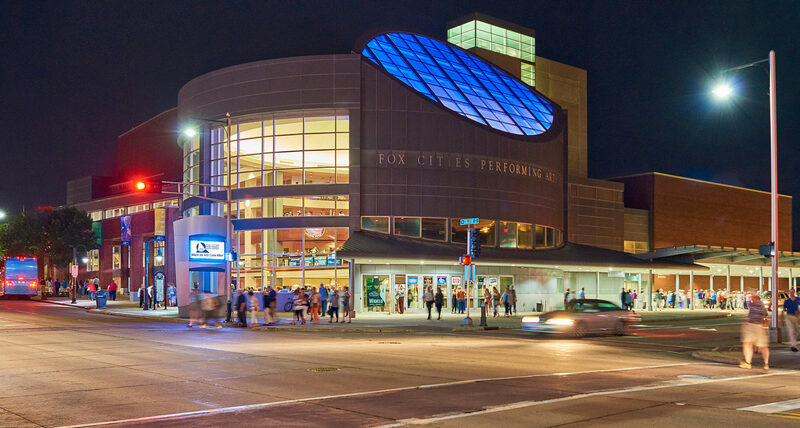 The Fox Cities Performing Arts Center – Where the Arts Come Alive! Thrivent Financial Hall is a premier performance venue that has all the amenities of a large hall without sacrificing a sense of intimacy shared between performers and the audience. The hall can accommodate an audience of 2,072. Approximately half the seats are located on the Orchestra Level with three additional horseshoe-shaped balconies wrapping around the side walls to bring the audience closer to the stage. Only 108 feet separate the front stage from the farthest seat. The Center provides many services to audience members with accessibility needs. Please click here [www.foxcitiespac.com/events/accessibility] for a complete list of accessibility services. 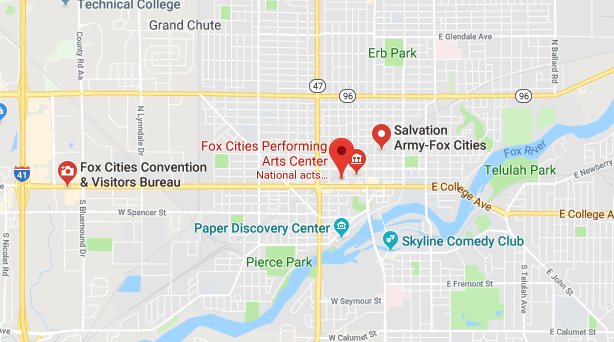 As a nonprofit organization, the Fox Cities P.A.C. relies on the community’s support as Season Ticket Holders, ticket buyers and generous supporters through the Center’s Annual Partner Campaign. With a tax deductible contribution, you will be making an investment in the Center’s mission-based programs. Your gift of $50 brings ten students to the Thrivent for Lutherans Education Series, $150 pays for a stage light to shine on the Boldt Arts Alive! Series and $350 provides American Sign Language interpretation for one performance. To learn more about how you can make a difference at the Fox Cities P.A.C., click here.